TOKYO – 11 OCTOBER 2018 – All attention turned to Studio Coast in Tokyo last night as it took centerstage with live performances from eight of the hottest Japanese pop music acts at the 17th MTV Video Music Awards Japan (VMAJ). The MTV VMAJ is one of the biggest annual music awards shows in Japan, which honors the best music videos by both international and Japanese artists. 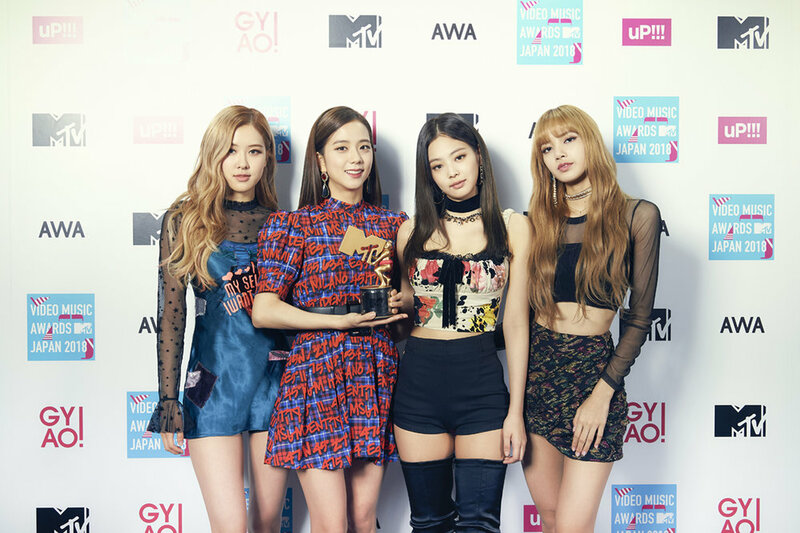 2,000 fans joined the spectacular celebration party “MTV VMAJ 2018 – THE LIVE”, which also included electrifying performances by 5x BRIT Award-nominated pop star, Anne-Marie and hottest K-pop girl group, BLACKPINK. Kenshi Yonezu won ‘Best Video of the Year – Japan’. International acts Ariana Grande, Shawn Mendes, Marshmello & Anne-Marie and K-pop acts BTS and BLACKPINK each scored one VMAJ award. Queen was also honored with MTV VMAJ’s Legend award, in celebration of Queen’s 45th anniversary of the band’s self-titled debut album and in recognition of their music influence in the Japanese music industry. Previous Legend award recipients include Jimmy Page (2002), Ozzy Ozbourne (2004) and Michael Jackson (2006). Winners for each of the 16 categories were chosen by a Selection Committee consisting of MTV creative directors around Asia Pacific, with a lens of ensuring each winner met a “global standard” for their music videos. Winners from each award category, except Best Video of the Year – Japan, were announced on September 7th. Additionally, over 3 million votes were cast by fans through www.mtvjapan.com/vmaj from September 7th to 25th to select the ‘Best Video of the Year’ and the winner was announced last night. “The Japanese music acts are consistently creative and innovative with their music and videos. Nowhere else in Asia Pacific does MTV have a music night celebrating the best music videos of each year like Japan. I am thrilled we are not only able to continue to spotlight the artistry in Japanese music through the VMAJ, but are able to honor some of the hottest acts in the current music scene in Japan,” said Simon Bates, Vice President and Head of MTV Asia Pacific. · BLACKPINK, kicked off the night with their current biggest hit “DDU-DU DDU-DU”. The red hot K-pop girl group slayed the stage with the catchy earworm, combined with their chic looks and stunning dance moves. · OFFICIAL HIGE DANDISM performed their major single debut this year “No Doubt” and “Stand By You”. · E-girls wowed the audience with their dance party anthem “Show Time”, which allowed the group to show off some of their most intense choreography before they performed their digital single “Perfect World” released early October, which was used as the theme song for the film “Perfect World: Kimi to Iru Kiseki”. · SKY-HI amped up the energy with a medley of their top hits, mixing their tracks with live rap segments in “Tyrant Island”, “Name Tag”, “Walking on Water” and “Marble”. · Little Glee Monster lit up the stage with their performance of “So, not alone” and “The world is smiling to you”. · Dean Fujioka mesmerized the audience with his intense rendition of “Echo” and “Hope”. · Keyakizaka46 who dazzled the audience at last year’s VMAJ, reprised another solid performance with “Student Dance” and “Ambivalent”. · aiko delivered a vivacious performance of “Kabutomushi” and “Straw”. · Daichi Miura took to the stage and wowed the audience with top hits “Be Myself” and “hikosen”. 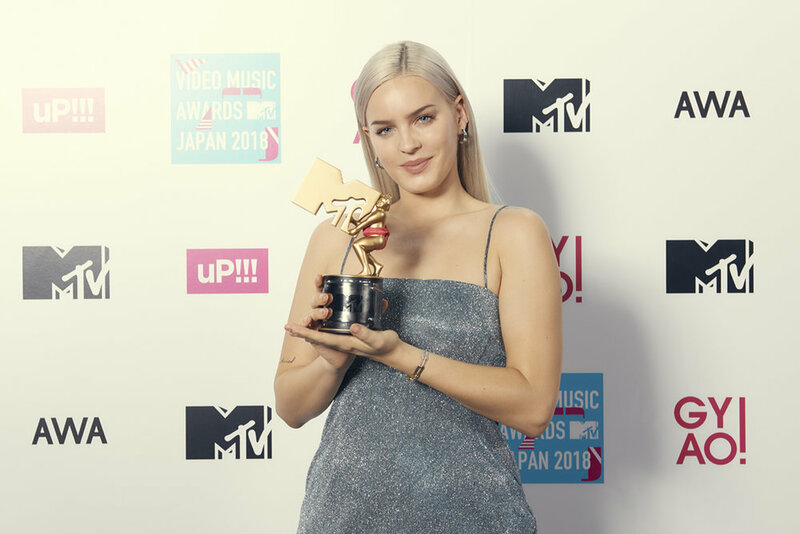 · Icon of the night, Anne-Marie ruled the stage with her performance of “Friends” and a surprise collaboration performance with E-girls. · Special Awards were presented as below to the artist/album that had made significant achievements across the music scene.